"...The Fender Custom Shop proudly offers a globally limited, 250-guitar run of its sublime Master Salute Stratocaster LTD guitar. This Master-built guitar features a two-piece select alder body with a striking White Gold Leaf finish. Its modern C-shaped one-piece maple neck has a 9.5”-radius fingerboard with medium jumbo frets, making it a player’s dream. 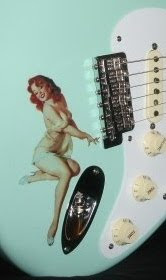 The Master Salute Stratocaster is fitted with three Custom ’50s single-coil pickups. It also features an engraved limited-edition neck plate and is accompanied by a limited edition certificate and limited edition hard-shell case. As an added bonus, each one of these fine instruments ships with a Custom Shop Mirror perfect for your den or music room. 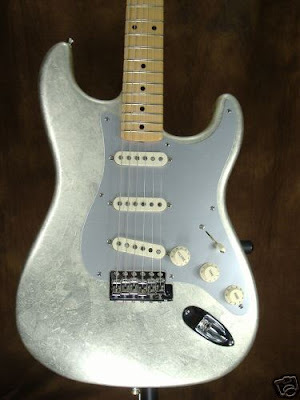 One of the great special runs in Fender history..."